Are You Making New Year’s Money Resolutions? Are You Making Any New Year’s Money Resolutions This Year? The author, Oscar Wilde once wrote, “A New Year’s resolution is something that goes in one year and out the other.” Sadly, that statement is true. Studies have shown that almost 97% of all New Year’s resolutions are never kept. But, that does not stop over 40% of Americans from making a New Year’s resolution and setting goals for our lives. Did you make a resolution this year? Did you make a goal about money? I’m not sure if I am going to make one this year. I have trouble keeping the goals every year, and I find my goals shifting throughout the year. While I think goal setting is very important in life and in our finances, I don’t think that we need to arbitrarily set the start date as January 1st. I know that that is a great starting date for most people, but it doesn’t have to start there. You can take some time to really decide on which goals you need to make, which are important to you, and when you need to make those goals. Happy New Year everyone! I hope that it is prosperous and successful even if you do not make any resolutions! I would love to hear your money goals and New Year’s resolutions for 2011. Leave a comment below. What are your New Year’s money resolutions for 2011? Leave a comment below…. I’m going to build up my emergency fund to a full 6 months of expenses. I’m going to work harder to understand the point of view of those who disagree with me on how stock investing works. I am more likely to learn from those who disagree with me than from those who tell me that everything I say is right on. 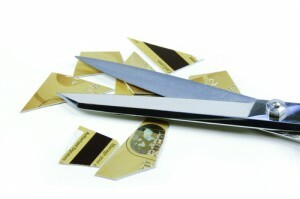 I am really looking forward to try to pay off all of my credit card debt this year. That’s is my New Year’s resolution. I have definite plans in place to better handle the Christmas expenses. I have set up automatic withdrawals on a weekly basis go directly to my ING account. So Easy! To make a resolution is easier then to keep it. I believe that everything depends on strong will and self discipline. I like your attitude Rob, maybe this is the way we should go… Well, it suits me definitely.